Last Minute Wedding Expenses. What Are They and How Do You Avoid Them? One of the first decisions you make before even starting the wedding planning is your budget. You try to navigate a road map that tells you where your budget will ultimately take you. One thing I can say is read – your – contracts. If extra expenses creep up on you, they are normally in your contracts from the beginning. 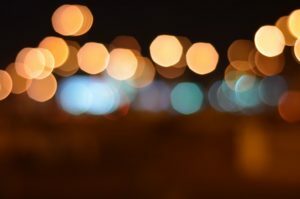 Avoiding last minute expenses is something you don’t want, but how is this avoided and what are these costs? Here are some last minute expenses to watch out for in the Florida Keys. 1. Tent. A tent in the Florida Keys is something that should be discussed and priced out from the beginning. Your planner may not need to have you place a non refundable deposit on it, but nevertheless you need to have this in place from the beginning. How to avoid it? Budget for plan B back up from the beginning so spending this is not a shocker. Or choose a venue that has an indoor location. Most resorts have this to offer you free of charge in case of bad weather. 2. Wireless microphones. a wireless mic is needed for the ceremony and toasting during dinner and your entertainment usually charges an extra fee for it. Don’t assume they will provide it. 3. Security Guards. 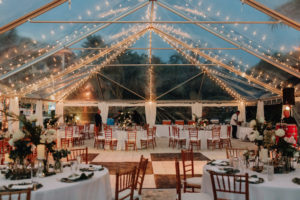 Private homes and private Inn’s in the Florida keys usually require a security/police officer during the duration of the wedding. Sometimes this may not be in your contract so I would ask and make sure there aren’t any extra costs for this from the beginning. 3. Clean up fees. These fees can come out from no where. If you don’t pay your catering staff to stay until the very end and later to make sure everything gets put away and cleaned up, you may be in trouble the next morning. Things that need to be cleaned up? 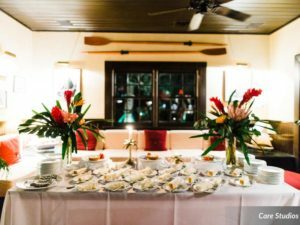 Dessert tables, smore’s bars, your actual bar and garbage left behind from guests. Fees for clean up is usually $500 and up. 4. Welcome dinner site fees. You found your venues and paid the site fee. Now you start the planning. Your welcome event is a separate event and if you plan on hosting it at the same location, usually there will be a separate site fee for this. Not something you want to find out about when you let them know the day before. 5. Generators. Power restrictions in the Florida Keys are abundant. You’re on the beach, but the power is always limited. It’s not about the number of outlets, but it’s the circuits you need. Long story but a good reason you need a planner to help you navigate through this. If your band shows up and there isn’t enough power, unfortunately they wont be able to play. Oops. Dont let this happen to you. 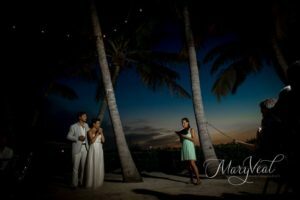 Red your contract, hire a LOCAL planner and have your dream Florida Keys Wedding. Engaged? 8 Things you Need to do Now.